I’m about to say something scandalous. Ready? Drum roll……….I don’t care much for chocolate cake. (Cue the horrified sounds). Ok, I’ll clarify that statement a bit. I don’t HATE it, I’d just rather have vanilla. 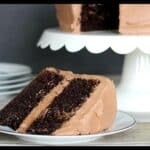 So, why am I telling you this on a post about chocolate buttercream? Well, here’s the thing: I actually LOVE this double chocolate buttercream. Weird…I don’t know why I love chocolate buttercream, but not necessarily chocolate cake. Who knows why we like what we like, but what I DO know is that this chocolate buttercream is ‘the bomb.’ Are people still saying ‘the bomb’? I don’t know and I don’t care because I will eat this stuff straight out of the mixer bowl. When I started out, I went with the usual way of making chocolate buttercream, which was just adding cocoa. You know me, I can’t leave well enough alone. I had to make it even MORE chocolaty by adding actual melted chocolate. I’m telling you it really make a difference. Try it and you’ll see. 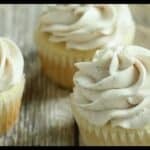 This recipe is good ol’ American Buttercream and I like using real butter and not shortening. I think that makes a world of difference. 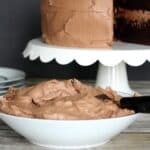 Try this buttercream on my Easy Double Chocolate Sour Cream Cake. It is amazing and coming from a vanilla cake person, that is saying something! Double the chocolate means double the goodness. 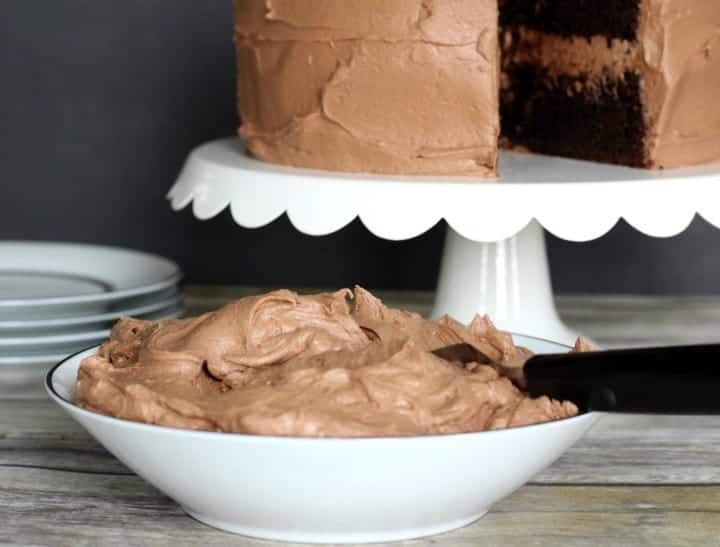 This buttercream is rich, creamy and super chocolaty. This recipe will make enough buttercream to cover a two layer, 8 inch round cake. Melt the semi-sweet chocolate and set aside to cool a bit. Use a paddle attachment on your mixer, if you have one. If not, just use your whisk attachment. Cream the butter for a couple minutes at medium speed. Add in the cocoa and beat on low until combined, then on medium until well incorporated. Scrape down the sides of the bowl and mix again. Add in 3 cups of powdered sugar. Beat on low until combined, then on medium until fully incorporated. Add vanilla paste, or extract and the cooled down melted chocolate. Beat until incorporated. 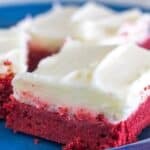 Check the texture of your buttercream and if it's still too thick, add milk only a tablespoon at a time, and mix after each addition. This buttercream is fine to stay out of the fridge for a couple days. After that, it should be refrigerated. 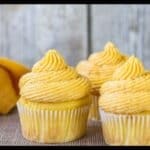 This buttercream can stay in the fridge for about a week. 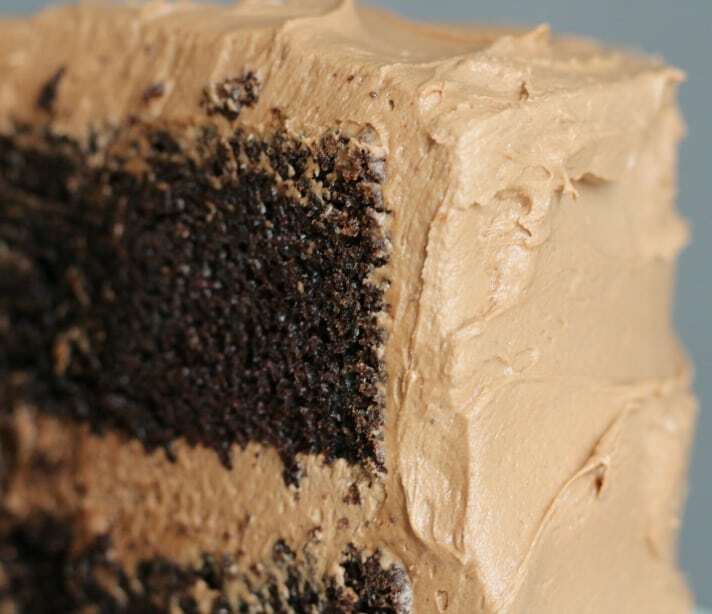 Your chocolate buttercream recipe looks good. I’ll have to try it. Personally, I prefer chocolate icing on a yellow cake and vanilla icing on a chocolate cake. I love chocolate in all forms, but just don’t really like chocolate icing on chocolate cake. I like the contrast in flavors. Hi I just use the Baker’s brand baking bar. I’ve even used semi-sweet chocolate chips, but they don’t seem to melt as well as the baking bar does. Hope this helps! This buttercream came out amazing!!! LOVE IT! I made it with your butter chocolate cake – which I have yet to try because it’s for a friends birthday. I also used your homemade pan release and it worked amazing. First time I’ve ever had the cakes slide so nicely out of the pan with the sides completely in tact. Thank you so much for all your advice & recipes on here! It was the best chocolate cake I’ve ever had! People were going crazy over how moist & tasty it was. I usually find scratch chocolate cakes to be dry. This was anything but. It was absolutely delicious. I was wondering if you have ever tried subbing milk chocolate for your semi sweet chocolate? My husband really doesn’t like that dark/fudgey chocolate flavor. He’s a milk chocolate boy. (I am not a fan of chocolate at all, but still trying to get it right) so I have been experimenting of and on, but no luck. Hi there! Yes, I’ve actually used milk chocolate chips instead of semi-sweet before and it works well. It does lesson that darker chocolate flavor a bit. Actually, I’m a fan of milk chocolate over semi-sweet as well, so I can completely understand. Can double this recipe and make a half sheet cake? Doubling this buttercream should be enough to cover a half sheet cake. Depending on how thick you make it, it can be pipeable. If you want it thicker, just add more confectioners sugar. If you’re piping roses or flowers, you may want to substitute half the butter with shortening. That makes it a little more stable.